Look, Ma, we’re in the legislative assembly! 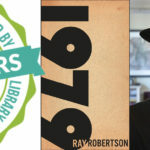 At last Thursday’s meeting of the Ontario Legislative Assembly, MPP Percy Hatfield (Windsor—Tecumseh) secured a 90-second Member’s Statement to honour three authors with Windsor connections who were shortlisted for the 2017 Speaker’s Book Award. 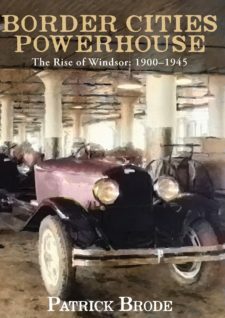 Among them, our very own Patrick Brode, whose Border Cities Powerhouse: The Rise of Windsor: 1900-1945 made the list of nine titles. Other Windsor-affiliated nominees were Dr. Cheryl Collier, professor of political science at the University of Windsor, for The Politics of Ontario, and Shawn Micallef, who was born and raised in Windsor, for Frontier City: Toronto on the Verge of Greatness. The award is given annually to a book by an Ontario author that reflects the province’s diverse culture and history. Brode’s next book is Why Babe Trumble Died: Enforcing Temperance on the Detroit River Border, 1920. In it, Brode tells the story of Trumble’s death at the hands of Reverend J.O.L. Spracklin, “The Fighting Parson.” Why Babe Trumble Died will be published by Biblioasis in November 2018, and I move we each put it on our To-Read list right now. Seconded? Don’t make me get out my gavel . 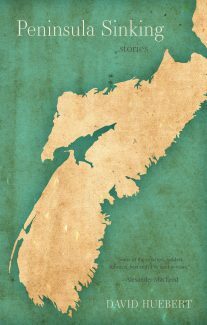 . .
We’re over the moon for David Huebert, whose Peninsula Sinking has been shortlisted for not one, but two Atlantic Book Awards: the Alistair MacLeod Prize for Short Fiction and the Jim Connors Dartmouth Book Award. Congrats, David, and good luck! We knew you when! In a beautifully written review of Zolitude, Helen Chau Bradley says all the things we’ve been trying to say about this stunning debut collection, but she uses people words whereas we tend to wave our arms around and make oddly-pitched squeaks of adoration. 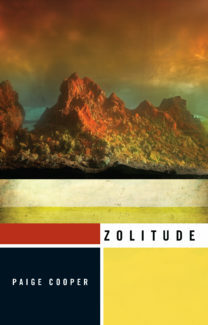 To wit: “Zolitude is Cooper’s first short story collection, but it reads like the work of a far more seasoned writer. 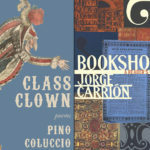 . . With each opening paragraph, she pitches us into a new atmosphere, full of gorgeous detail and emotional rawness, a world that feels too real to be a fantasy, or perhaps just fantastic enough to be real.” To which your humble Biblioblogger would like to add: [verbal equivalent of multiple cat-eyes-emoji].